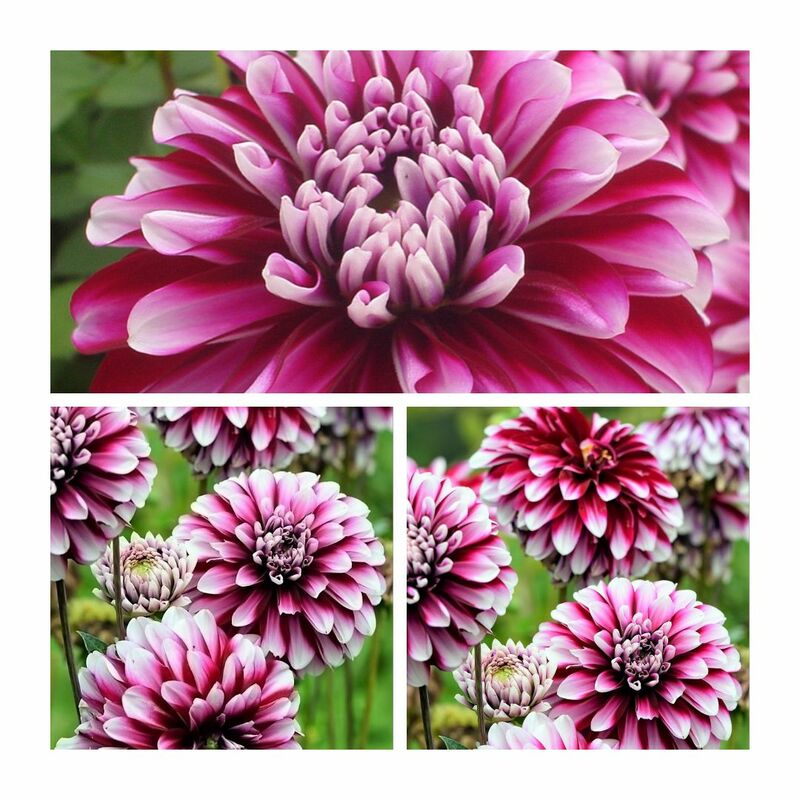 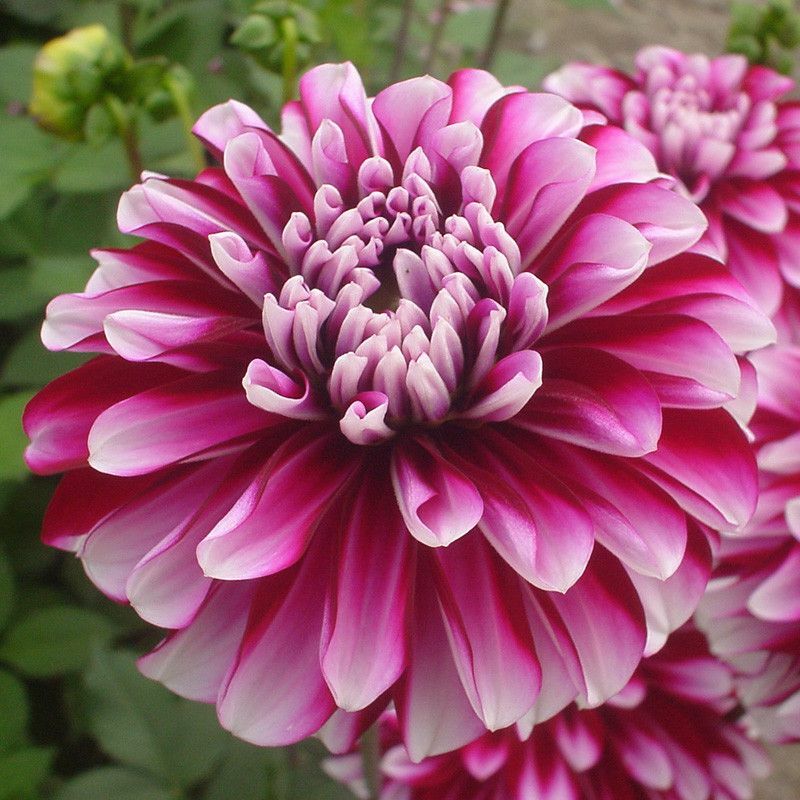 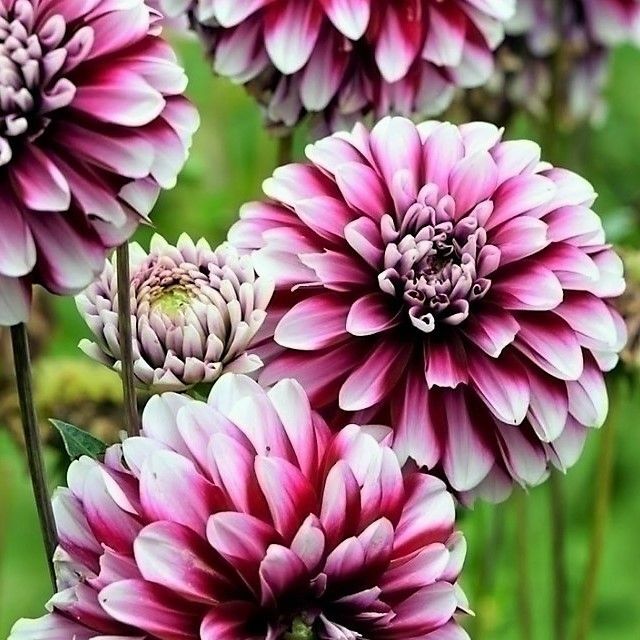 A very special dahlia.Large,well-filled flowers in intense red purple with white tips on the petals. 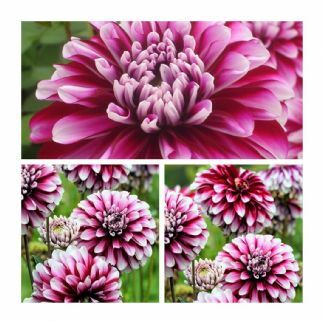 Form high,bulky plants that fill out well in borders and pots.Please note these are Grade I tubers. 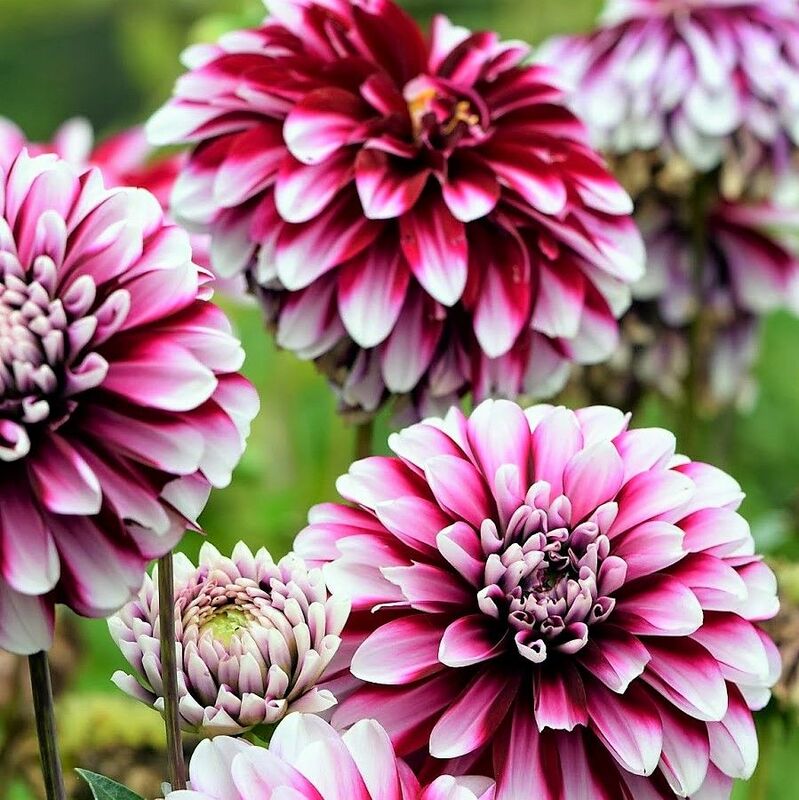 Grade I are the largest size available and produce a much superior growth,stronger stems and a larger amount of blooms.